Constantly exposed to sun, wind, and environmental toxins and highly sensitive to internal changes due to the natural aging process, especially the slow decline in collagen and elastin, the face shows (betrays) our age more quickly and more visibly than other areas of the body. 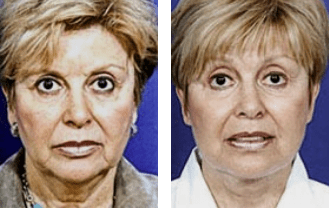 For some, a surgical facelift holds the key to restoring a youthful visage. For many others who are concerned with minor or moderate signs of aging, there is another option: an incredible non-surgical facelift that delivers incredible, surgery-like results without the incisions, scarring, and long downtime associated with traditional facelift surgery. 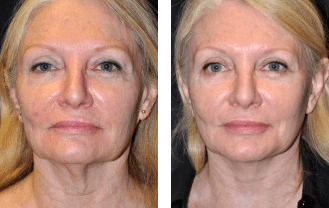 FaceTite is a revolutionary new energy-based treatment modality that harnesses Radio-Frequency Assisted Lipolysis (RFAL) to tighten and lift loose sagging skin on the face, jowls, and neck to restore and enhance a fresh, vigorous, youthful appearance. Also called “non-excisional tightening”, FaceTite does not involve scalpels and long incisions, but instead, utilizes heat energy delivered via several small holes in the skin, holes that heal without scarring. The heat contracts loose skin and sparks the stimulation of new collagen to tighten, lift, and improve the appearance of loose, sagging skin from the inside out! FaceTite is not appropriate for every patient, however. FaceTite does not address the excess accumulation of fatty tissue, particularly around the jawline, jowls, and neck, so patients for whom excess fat is a concern may need an ancillary treatment such as liposuction for optimal results. FaceTite harnesses the power of radiofrequency (RF) energy which, when absorbed by the dermis (inner layer of skin) as heat, contracts strands of collagen forming the internal structure and framework of the skin. The procedure is performed with two parallel electrodes, one placed precisely into the skin and the other directly on top of the skin. The two electrodes create a uniform thermal field passing through the skin while monitoring the optimal temperature of surrounding tissue for maximum safety and effectiveness. This powerful heating action tightens loose skin and sparks the growth of new collagen for a tight, lifted, youthful appearance! At Neo Surgery Center of Beverly Hills and Santa Barbara, California, we offer a comprehensive range of surgical and non-surgical procedures and treatments, enabling us to design a unique, fully-customized plan just for you and your active lifestyle. Many of our highly-effective non-invasive treatments offer powerful results without downtime, yet for those patients seeking truly dramatic and transformative results, plastic surgery may be the correct choice. Yet regardless of what treatment you select, you can be certain that Dr. Brent Moelleken and the friendly staff at Moelleken Plastic Surgery will put you totally at ease and ensure that you receive the special pampering and attention you deserve! For more information on a non-surgical facelift with FaceTite, contact Neo Surgery Center to schedule your appointment today!